When people talk about beaches in Lisbon they usually mean the coast immediately west of the city center which are the towns of Cascais and Estoril. For most locals they also mean the long stretch of sand that is Costa da Caparica south of the city. But further south is a lesser known and more upscale paradise. Itâ€™s the Troia Peninsula, still relatively secret because it doesnâ€™t cater to mass tourism. Itâ€™s also a more recently-developed area, complete with a landmark design hotel and other newer accommodation choices, golf courses and even a casino. The waters are calm and clean, and thereâ€™s lots of sand with plenty of space to spread your towel. All around you is pristine natural beauty and not very far into the Atlantic is a natural habitat of dolphins which you may observe on a boat trip. All of it is just about one hour south of Lisbon. 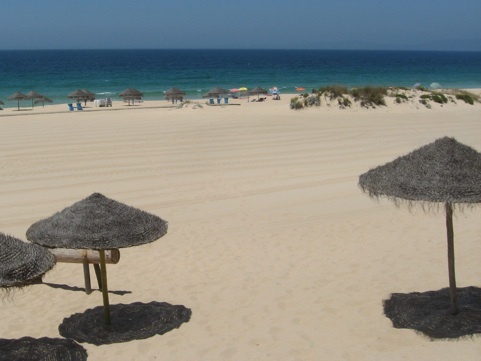 The main beaches are Comporta and Carvalhal by the village of GrÃ¢ndola. Theyâ€™re two of the few that remain completely wild, preserving their natural vegetation and fowl. Youâ€™ll still see several storks and their nests, and feel the fresh scent of pine trees. But you donâ€™t even have to look for Comporta or Carvalhal, since all around the main resort areas of Troia is fine, soft sand. The weather is usually sunny and mild or warm from late April to early October. Apparently having beaches just a few minutes away from downtown is not enough for the people of Lisbon. Soon they’ll also have a beach right in the center of the city, by its largest square. By the end of this summer, work will begin to create a real urban beach by the river next to Comercio Square. This area was in fact a beach in the 16th and 17th centuries, and it was where many of the ships used during Portugal’s Age of Discovery were built and docked. The name comes from that time — “Ribeira das Naus” (the “Ships’ Riverfront”). This new urban space will cost close to 15 million euros, and will include plenty of shade from a 10-acre park. Everything is supposed to be ready in just over a year from now, so if it all goes as planned, you can sunbathe by the Tagus at the end of next summer or early autumn. Next year the Lisbon waterfront will also be in the spotlight during one of the stages of the worldwide 2012 Volvo Ocean Race, happening on the eastern waterfront of the city, where the river becomes the Atlantic. 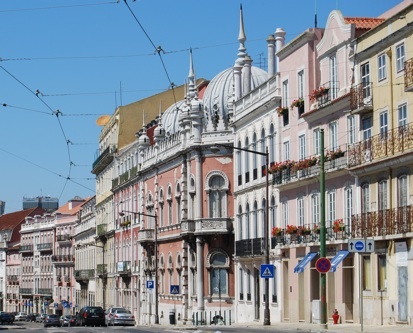 The Principe Real neighborhood is one of Lisbon’s most charming residential areas, and its main square has just reopened last week after months of renovation. That square is actually a garden and you can sit under a gigantic “umbrella tree,” try one of the city’s traditional drinks at a kiosk cafÃ©, and admire the architectural details of the colorful buildings of the surroundings. Go down the hill and you reach PraÃ§a das Flores, perhaps Lisbon’s most romantic corner. It’s never mentioned in guidebooks, but this small, shaded square has a couple of the city’s most inviting cafÃ©s with outdoor tables, including the new “Novamesa Snack Bar,” an extention of the recent Nova Mesa restaurant. Back up the hill is the enchanting Botanical Garden. 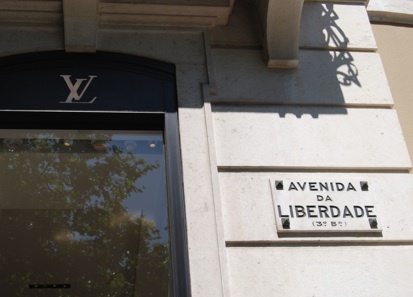 Avenida da Liberdade is Lisbon’s mile-long “Champs ElysÃ©es,” a boulevard know for its luxury shops, theaters, and cafÃ©s. A new Prada store is opening this week in one of its most beautiful buildings, and you can do some window-shopping as you go down the avenue admiring the city’s trademark mosaic pavements and stop to take a look at the many scattered statues, all the way to the city’s biggest park. Edward VII Park goes up a hill and once you reach the top you’re rewarded with a postcard-view of the city. 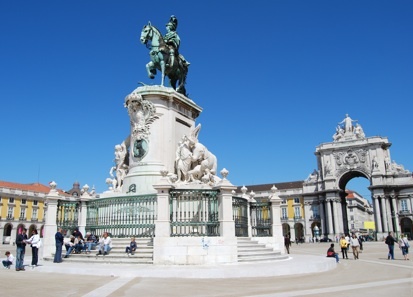 As GoLisbon reported, Lisbon’s biggest and most monumental square has just been renovated. The planned cafÃ©s will only be open in September or October, but you can sit by the river, at Cais das Colunas, a quayside area with two large columns marking the entrance to the city from the Tagus. From here you can admire the square and its triumphal arch, and sit as you watch the ferries cross the river, and see the landmark 25 de Abril Bridge and the Monument to Christ in the distance. 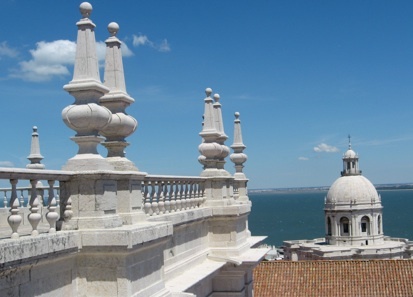 The National Pantheon and St. Vincent’s Monastery are both located in Alfama just steps from each other, and besides both being painted in shining white, they both offer rooftop terraces for city views. You can stop to check your guidebook or simply stay admiring the city as you work on your tan. 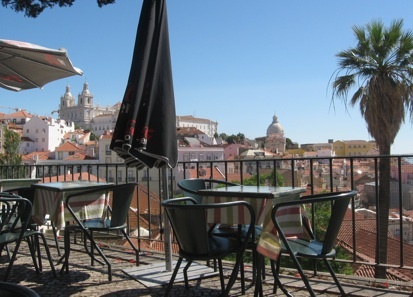 Alfama is Lisbon’s most picturesque neighborhood and it’s always best enjoyed outdoors. It forces even the laziest walkers to go up and down its cobbled streets, and the reward are its terrace viewpoints. Three of the most beautiful viewpoints in the city are located within walking distance from each other, and they allow you to do some sightseeing as you enjoy your sunny summer days. Start in Miradouro de Santa Luzia, go up to Miradouro das Portas do Sol (stop for a drink at its fantastic terrace cafÃ©), and continue up the hill to Miradouro da GraÃ§a where you won’t be able to put your camera down. 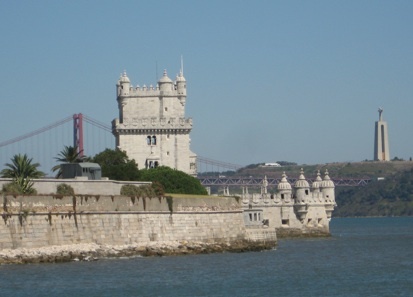 Florida’s Cape Canaveral is the launch pad for the exploration of space today, but five centuries ago the launch pad for the exploration of planet Earth was Lisbon’s BelÃ©m district. 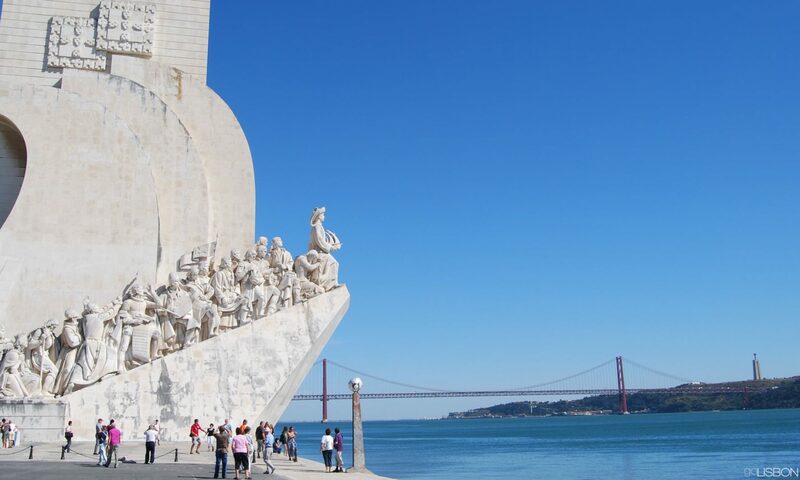 That’s where you’ll find the city’s three biggest landmarks, the Discoveries Monument, the BelÃ©m Tower, and JerÃ³nimos Monastery. 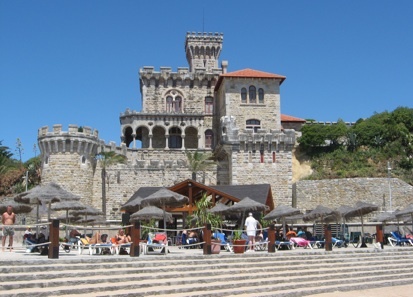 Starting at the monastery, walk west along the waterfront to admire the architecture and stone work of the other two monuments, and picture Vasco da Gama departing on his way to discovering the maritime route to the East or Pedro Alvares Cabral on his way to discoverig South America. 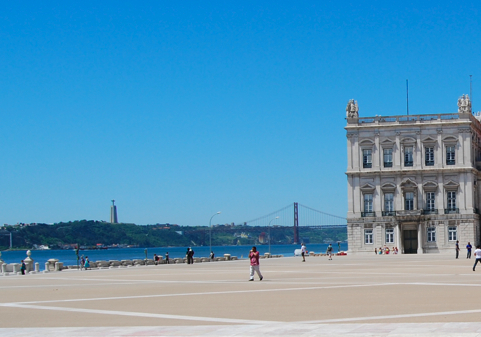 Lisbon’s waterfront is not just about the voyages of the past. At the former site of 1998’s World Fair you now find a modern residential and business district with futuristic architecture. You may see all of it from a bird’s-eye perspective on a cable car ride, or walking along the riverfront from one of the world’s biggest aquariums all the way to a Dubai-like tower, Torre Vasco da Gama. In between you’ll see lawns and gardens inviting you for a picnic. By now you probably already know that Lisbon is one of Europe’s most picturesque cities which is why it’s so loved by photographers. Even if you have very little talent and don’t aspire to become one, you’ll enjoy a walking tour where photographing the city is the theme. Your attention will be guided to all the details that make Lisbon so special, from the tiled faÃ§aded to the cobbled mosaics, to the surprising views along the way. Lisbon may have a Mediterranean look and feel, but this is actually a very Atlantic city. Its river opens to the ocean from the BelÃ©m district to the seaside towns of Cascais and Estoril. 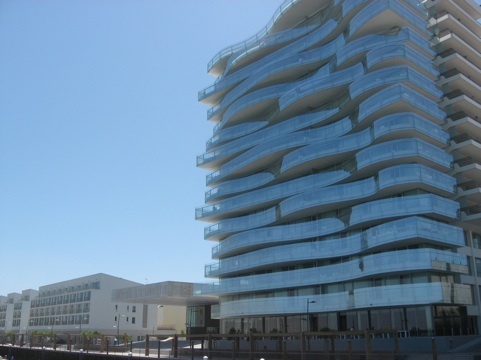 Known as “the Portuguese Riviera,” these are two chic resorts which are connected by a beachfront boardwalk. You’ll find pretty villas, marinas, small coves, and Europe’s largest casino but on a sunny day nothing will make you leave the boardwalk with occasional stops for a drink at a beachfront cafÃ© or some sunbathing on the sand. After the J. 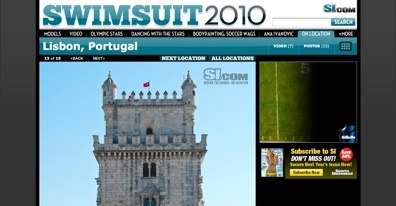 Crew catalogue, now it’s the annual swimsuit edition of Sports Illustrated magazine to feature Lisbon in a major photo shoot. It hit the newsstands yesterday, with the usual beautiful women (one of them is model Jessica Gomes of Portuguese heritage), but this time also with beautiful views of Lisbon as the backdrop. 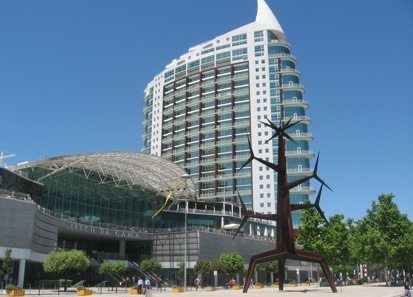 Lisbon is referred to as one of Europe’s most exciting cities, and in addition to the city center, the shoot also took place in the Estoril and Cascais coast (Lisbon’s most famous beach area) and the magnificent Portinho da ArrÃ¡bida beach south of the city. You can see those photos on the Sports Illustrated website or you can pick up an issue of the magazine now. The Portuguese capital has been quite a popular destination for North Americaâ€™s daily Metro newspapers. 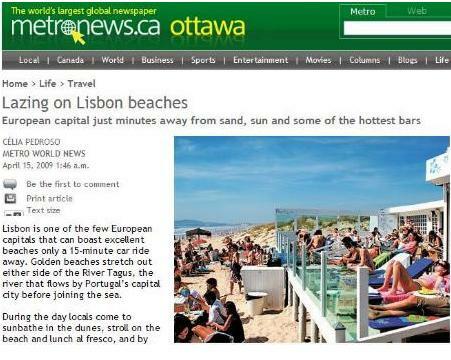 Last week the American edition featured a 2 Minute Guide to Lisbon, and yesterday the Canadian edition recommended the cityâ€™s beaches and beach bars. It does in fact highlight the best ones, including my personal favorite, Borda Dâ€™Agua in Praia Morena. Another recommendation was Bar do Guincho, a Cascais hotspot at any time of the year, and the two other choices were Bafureira in Estoril, and Delmare CafÃ© in Costa da Caparica. If you think itâ€™s too soon to be talking about Lisbonâ€™s beaches and its bars, you must remember that summer essentially starts in May in this central-southern part of Portugal. While we may be getting the usual April showers this week, we can expect plenty of beach-worthy days next month. The water will still be cold, but it will already be pleasant enough for sports on the sand and catching some sun at a beach bar — and those recommended by Canadaâ€™s Metro are in fact the ones to be at.